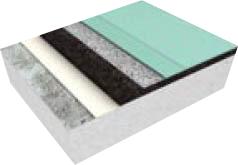 The basis consists of a prefabricated elastic sublayer. This pad is bonded to the subfloor using a solvent-free adhesive. 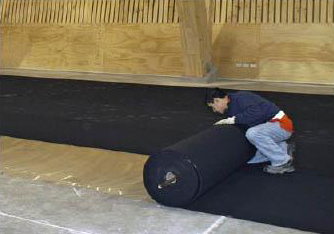 The purpose of the first of three synthetic layers poured onto the elastic sublayer is to create seal. 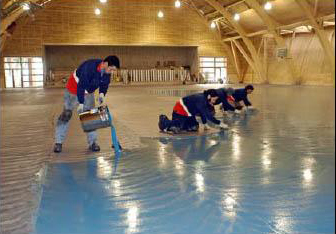 The second layer is applied thinly, as a final preparation of the floor for the installation of the thicker self-levelling layer that provides mechanical strength to the floor. 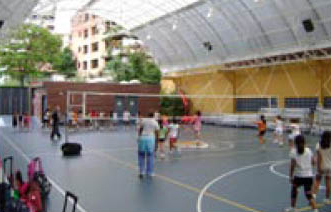 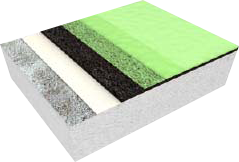 This synthetic layer provides a solid base and proper fit with walls and floor facilities. 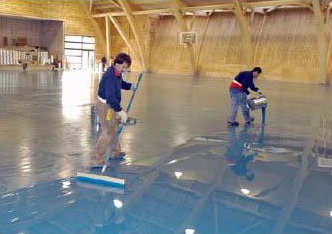 Over the base layer, using the same high-quality material and a colour that matches the final colour of the floor, a top layer is applied, which gives the floor its mechanical strength. During this operation, the material is actually poured and distributed with special tools. 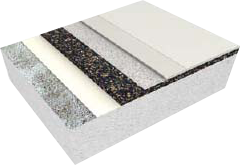 The self-levelling nature of the material creates the famous seamless. 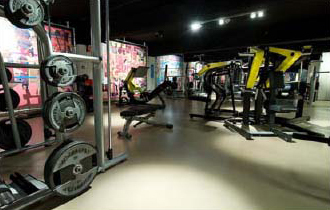 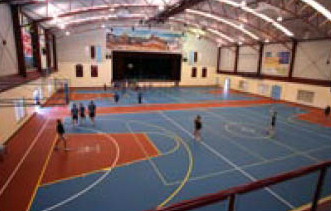 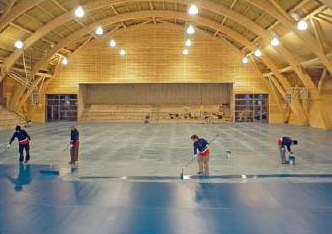 These sports floors derive their very high resistance to wear and matt finish from the final water-based sports floor coating. 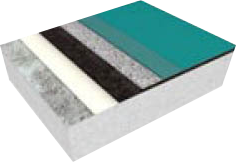 This coating is available in a wide range of classic colours, design colours and custom colours. 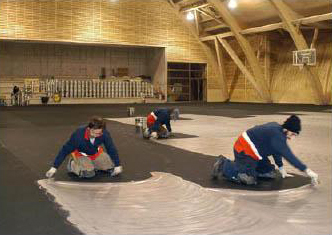 This coating is considered the state-of-the-art worldwide. 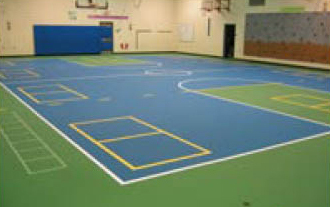 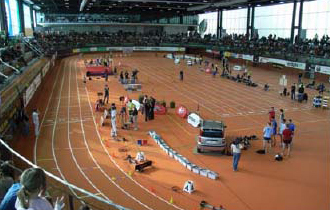 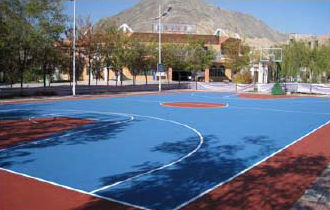 The finishing touch for every sports floor is the line marking, applied by our line marking specialists. 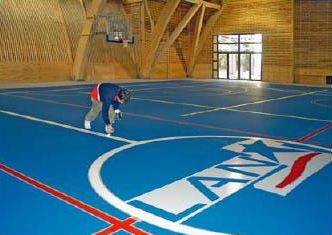 At this stage, any logos may also be applied.